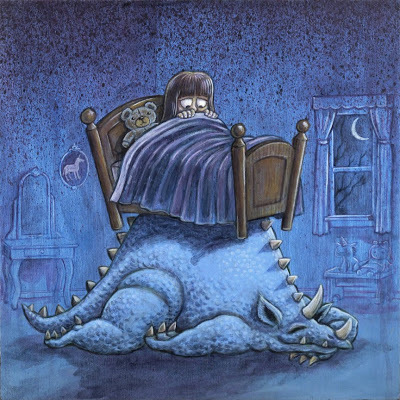 What do you do about those monsters under the bed? They are there you know. Ask any young child. They get under there every night just about bedtime. That's why the child should avoid going to bed at night. But if they do agree to get in bed, it's important to keep their legs from dangling over the edge of the bed. They could get bitten off. It's good to keep the blankets & throws blanket up to their neck too. You don't hear these monsters. They are very quiet and very discrete so that they don't come out when you are there, only when the child is left alone in bed. But you know they are there. Really, they don't come out until the lights are off. Sometimes it helps to give your child a drink. But they are still there. So reading a story sometimes helps to keep them at bay. But that only works temporarily and you know they are going to come out once you leave the child alone – in the dark.